Belgian prosecutors on Monday said they had discovered the real identity of an accomplice in the Paris attacks, as they met with French counterparts to discuss the probe into November’s carnage. 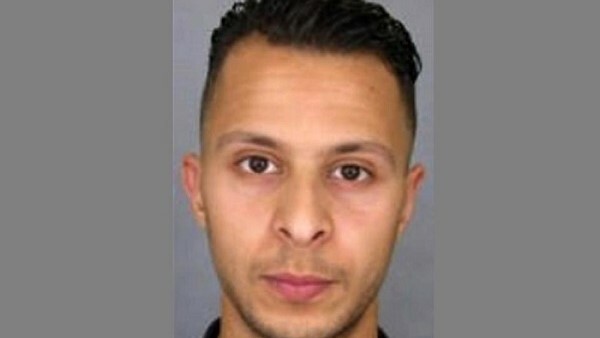 The accomplice was named as Najim Laachraoui, 24 — previously known by the false name Soufiane Kayal which he used to travel to Hungary in September with Saleh Abdeslam, the key suspect who was finally arrested in a dramatic raid on Friday. Laachraoui, who also travelled to Syria in February 2013, is still on the run. French President Francois Hollande, who has said he wants Abdeslam extradited as quickly as possible, was due to hold his first formal meeting with relatives of the 130 Paris victims on Monday afternoon. “The president, in light of recent events, will update them on what is happening,” the presidential palace said. Investigators hope Abdeslam’s arrest in Brussels on Friday, in which he was wounded in the leg, will give new leads on the attacks claimed by the Islamic State jihadist group. Abdeslam, the last known survivor of the group that carried out the attacks, was found just around the corner from his family home in the gritty Brussels neighbourhood of Molenbeek, where several other of the attackers hailed from. Belgium has faced heavy criticism for failing to keep tabs on Islamic radicals there. The investigation is now widening, and Hollande has said that the network involved in the Paris attacks was much bigger than previously thought. French prosecutor Francois Molins will meet his Belgian counterpart Frederic Van Leeuw and hold a press conference at 1400 GMT, the federal prosecutors’ office said. Molins said at the weekend that Abdeslam played a “central role” in the attacks and originally planned to “blow himself up” at the Stade de France stadium but changed his mind. “These first statements, which should be taken cautiously, leave a whole series of issues that Salah Abdeslam must explain,” he added. Belgian Foreign Minister Didier Reynders said Sunday that Abdeslam — who has been charged with “terrorist murder” and belonging to a terrorist group — had already told investigators he was planning some sort of new attack in Brussels. “That may be the reality because we have found a lot of weapons, heavy weapons, in the first investigations and we have found a new network around him in Brussels,” Reynders told a panel discussion in Brussels. But Abdeslam’s lawyer Sven Mary said his client would fight extradition to France and has vowed to take legal action against the French prosecutor for his comments. He also blasted what he called political meddling by the Belgian foreign minister. “They don’t learn, these politicians, and realise that there’s a separation of powers. This chatter has to stop. The investigators and prosecutors — and I don’t often say this — have done an excellent job,” Sven Mary was quoted as saying in Monday’s De Morgen daily. “If the politicians want to nullify all of this and violate the tenuous bond of trust that exists between my client and investigators, they just have to continue along this path,” he said. Two more suspects are wanted over the Paris attacks: Mohamed Abrini, who became friends with Abdeslam when they were teenagers, and Laachraoui. Prosecutors said Laachraoui’s DNA had been found at an apartment used by the Paris attackers that he rented under a false name in Auvelais, near the central Belgian city of Namur, and at another suspected hideout in Schaarbeek, a district of Brussels. He used the same false name at the border between Austria and Hungary on September 9 when he was travelling with Abdeslam and Mohamed Belkaid. Belkaid, a 35-year-old Algerian, was shot dead Tuesday in a police raid in the Forest district of Brussels. Abdeslam meanwhile spent his second night in solitary confinement in the high-security prison in Bruges, the historic mediaeval tourist town about an hour’s drive north of Brussels. The prison also holds Mehdi Nemmouche who killed four people in an attack on the Jewish Museum in central Brussels in 2014 and who was extradited from France back to Belgium to face trial.